7:30 p.m. in the beautiful Perot Theatre. The living legend of the flute, Sir James Galway, features contemporary compositions by present-day composers and classical masterworks. Since launching his career as a soloist in 1975, Sir James Galway has graced the ears of dignitaries such as Queen Elizabeth II, Pope John Paul II, President William J. Clinton, President George W. Bush, Princess Diana, and many more. Sir James Galway will take the Perot Theatre stage with his wife, Lady Galway. Learn more. 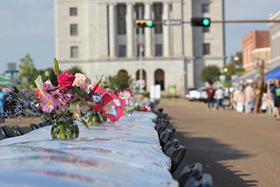 4-9 p.m. on Stateline Avenue, brought to you by Main Street Texarkana. There’s no place like HOME – when the community gathers downtown at this Totally Texarkana event! It’s FREE to come shop the vendors and enjoy great music. Also featuring amazing raffles, kids’ corner, fashion show, and FUN! PLUS a regular T-Town Oktoberfest with a Home Brewers Tent featuring Four States Fermenters! For dinner reservations featuring Verona’s Dinner Through the Ages – go to mainstreettexarkana.org or facebook.com/dineontheline. In the beautiful historic Perot Theatre. 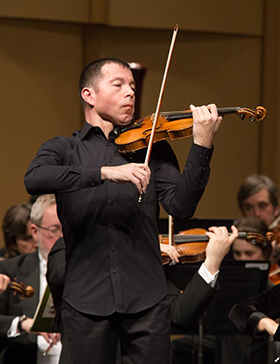 TSO in concert with guest conductor Steven Jarvi and featuring TSO’s own Concertmaster Kiril Laskarov, performing musical masterpieces by Schoenberg (Finding Rothko), Mendelssohn (Violin Concerto in E minor, Op 64), and Elgar (Variations on an Original Theme, Op 36). Enjoy a preview concert presented by Kiril Laskarov and Marc-Andre piano in the Stilwell Humanities Music Hall on Thursday, Oct. 4 at noon. ENJOY IT ALL! 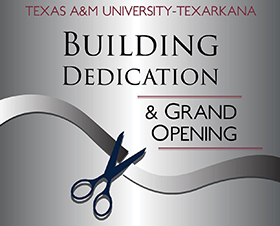 Join TAMU-T for the grand opening celebration of the newest campus facility - the Lois & Cary Patterson Student Center that will accommodate large activities and programs! Ribbon cutting and ceremony October 2 at 11 a.m. Tours to follow. 6-9 p.m. Multiple locations in Texarkana. Since 1984 this program highlights the need for community cohesion. Learn more. Movies in the Park - Spring Lake Park. City of Texarkana TX Parks and Recreation Program. Movies will start at dusk, near the airplane, and are free and open to the public. Participants are encouraged to bring a blanket or lawn chair. Refreshments will be sold. Learn more. 6 p.m., On the grounds of the beautiful Collins Home. 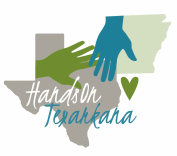 Benefiting Hands ON Texarkana. Featuring 5 fabulous tapas meals by Chef Jeff Loving paired with California wines with Dr. David Whitten – all to music of Cody Moss – benefitting voluntarism in Texarkana USA including volunteer programs for youth, ride services to the elderly, and MORE from Hands On. RSVP and tickets at 903.798.3211 or [email protected]. Learn more. 9:30 a.m.-3 p.m., Dot's Ace Hardware. 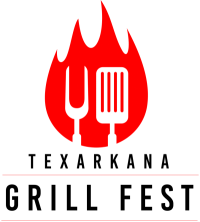 In addition to the Big Green Egg, Grill Fest will be open to Traeger, Green Mountain, R&V Works, PK Grills, Blackstone Griddles, and T-Wok brand grills. Grill maestros are invited to demonstrate different recipes on the grill style of your choice*, from breakfast fare through lunch and beyond. Ticketholders will be invited to mingle, taste foods, learn about cooking on the different grills, get new recipes. Tickets include entry in prize drawings. Learn more. Texarkana Golf Ranch. 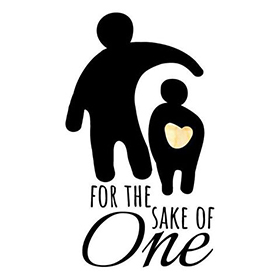 If you are a golfer, to get a team together to play to benefit foster families in Texarkana USA. If you are not, please pass this on to someone who is! Would you like to be a hole sponsor? Call 903-329-0566 or [email protected]. Get your team together today! Learn more. 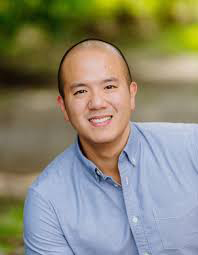 Comments on "T-Town Top 10: Week of Oct. 1-7, 2018"